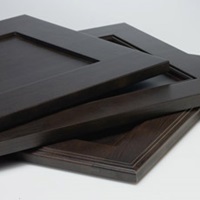 Whether you are choosing cabinet doors for your kitchen, bathroom or any other room of your home, the following overview covers some of the different cabinet door types and styles available. 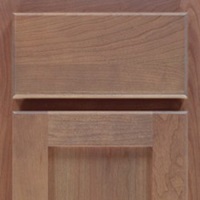 Your inset cabinetry can be personalized with either beaded or non-beaded inserts. 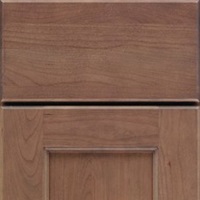 The beaded insert is fitted into the cabinet door itself, providing an edge detail that evokes fine craftsmanship. Full overlay doors cover the entire front of the cabinet box. When two overlay cabinets are viewed side-by-side, only a very small portion of the frame is visible, creating a nearly seamless, streamlined look. Partial overlay doors cover only part of the cabinet box front, with a small portion left showing, providing a more traditional cabinet look. 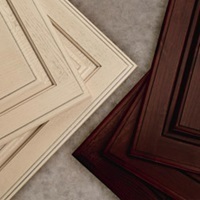 Raised panel cabinet doors have a center panel that is raised from the rest of the door, many times with a contoured edge that gives it a specific style. These doors are typically used in more traditional designs. Recessed or flat panel cabinet doors have a center panel that is lower than the rest of the door, with a higher outer edge that defines its style. Recessed panel doors are typically used in more modern designs.